In my mind there is nothing more quintessentially ‘childhood toy’ than dolls house. I’ve always dreamt of getting Athena and Arlo a huge mansion with several storeys and rooms full of miniature furniture, carefully wallpapered interiors and tiny little lights and curtains at the windows. Who am I kidding, it would be for my benefit as much as it would be for theirs! 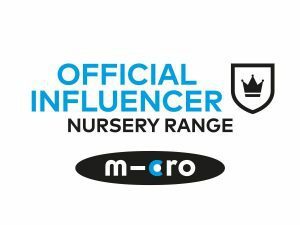 However at one and just turned three I think something that intricate would be wasted on them just yet and probably wouldn’t withstand their boisterous play. 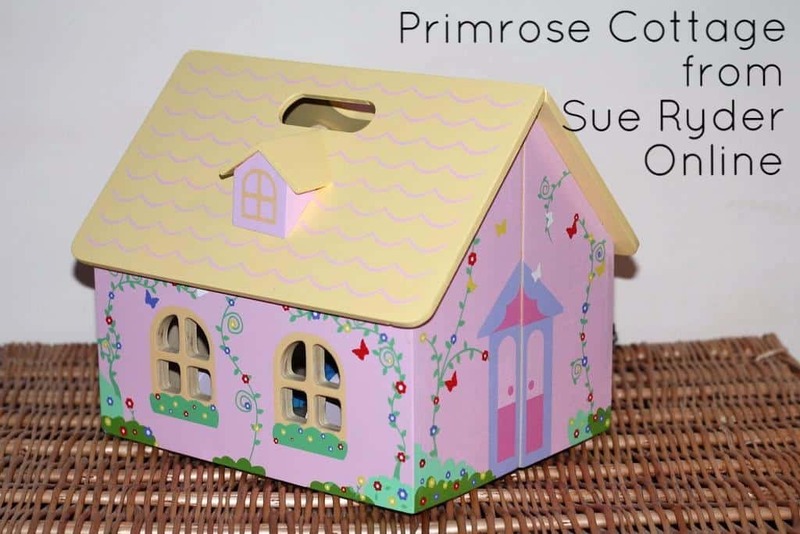 Enter the lovely wooden Primrose Cottage from Sue Ryder Online though, and you’ve got the perfect introduction to dolls houses! This sweet little cottage is painted on the outside, hinged at one side and opens into a cute little two up two down. 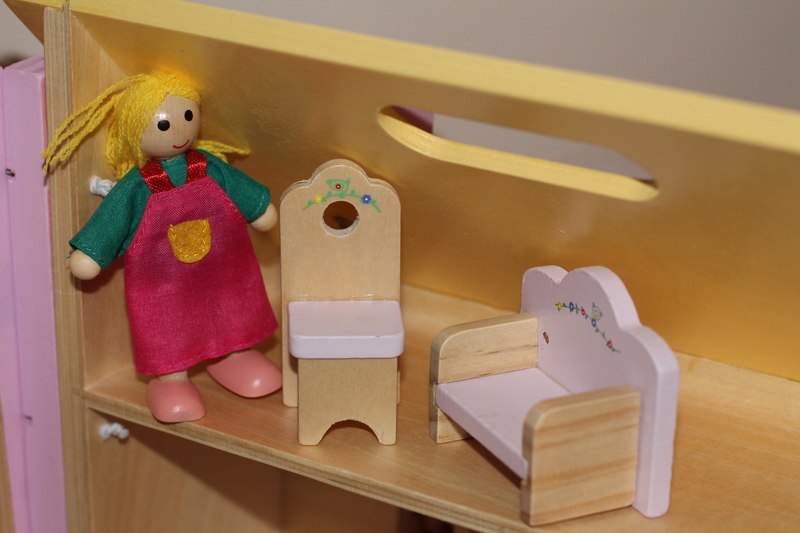 The roof has carry handles so it is super easy to move around, and it closes with a magnet so the little people and the furniture stay securely inside when not in use. The cottage came with two little figurines and a set of furniture all included for the price of £29.99, which I think is an amazing price! It’s really sturdily made and so far has been played with daily, as well as been shown to visitors with great pride by Athena! Until recently I had no idea that Sue Ryder sold anything other than the items they sell that are donated to their charity shops, but I bought a lovely bedside cabinet recently (that’s in my bedroom makeover post) from them via Amazon and have since discovered that their website sells items for the home, garden and lots and lots of classic kids toys, including some really lovely bigger dolls houses, musical instruments and furniture. It’s all brand new, not donated and everything is covered by a 30 day money back guarantee for peace of mind! Have a look for yourself, maybe even start your Christmas shopping early and support a very worthwhile charity whilst you do! In case you’re not familiar with what Sue Ryder do then they are a charity that provides hospice and neurological care for people facing a frightening, life-changing diagnosis, as well as their families. We were kindly sent the Primrose cottage for the purpose of this review, all words and opinions are my own. Previous Post Baby Loves: Oxo Tot! Aww! That is just adorable…. We love our local Sue Ryder charity shop. I had no idea they sold online too! I was so surprised at all the lovely things they do! Definitely worth a visit! I love this. 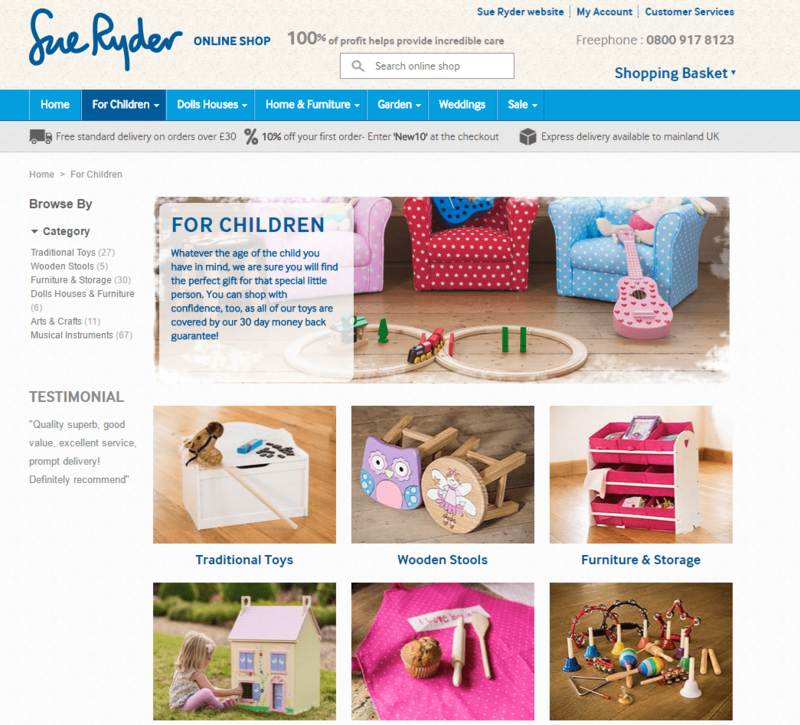 I didn’t even know Sue Ryder had a website!